Beautiful hair doesn’t have to compromise your health or the environment. At Elizabeth JJ’s on the Avenue we pride ourselves on creating fantastic hair while treading lightly on the earth. We use ethically sourced, sustainable, health conscious and environmentally friendly products to deliver amazing colours and on-point styling. These products are backed by strong ethics, quality formulations and certified organic ingredients, promoting healthy hair and a healthy environment. We use rainwater to wash our towels (whenever we can) and dry them on the line rather than in the clothes dryer (weather permitting). We compost all of our food waste, coffee grounds, tea leaves and even dead flowers in our worm farm. The worms then make fertiliser and compost for the garden and pot plants. Thank you worms! Our ethically-sourced Fairtrade coffee is supplied in biodegradable packaging. Yum! We have sourced and chosen to work with environmentally conscious companies, including Organic Colour Systems and Davines. Organic Colour Systems maximise their use of naturally derived and certified organic ingredients. They ensure that their packaging is recyclable and is produced from recycled materials wherever possible. Their environmental footprint in minimised by using efficient manufacturing methods, reducing waste and energy consumption and recycling and re-purposing as much as possible. The company continue this ethos throughout their supply chain, sourcing their ingredients from reputable suppliers who prioritise environmental sustainability and their staff’s welfare. We work in partnership with Sustainable Salons to recycle or re-purpose 95% of our “salon waste” including used foil, hair clippings, excess colour products, paper, plastics and glass. The salon waste is placed in special bins and collected regularly for re-purposing. 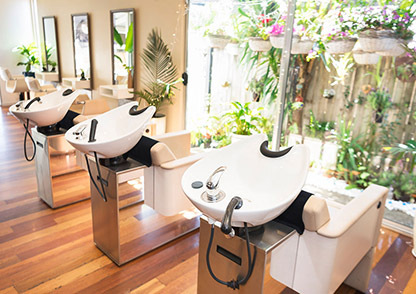 Sustainable Salons work in partnership with charities and environmental organisations and the proceeds from re-purposing the salon waste are donated to OzHarvest to provide meals for those in need. We’re very proud that the salon has received Green Select accreditation from the Australian Hairdressing Council. The Green Select accreditation recognises our efforts to minimise the salon’s footprint on the planet, while still delivering the fantastic hair and service that our clients expect and deserve. All OCS packaging is recyclable. The colour & home care bottles are made from 100% & 50% recycled material respectively. 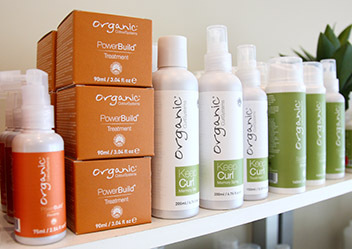 We partner with Sustainable Salons to re-purpose 95% of our salon waste. 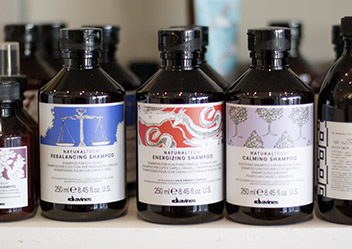 Davines is committed to carbon-neutral manufacturing and sustainable packaging.